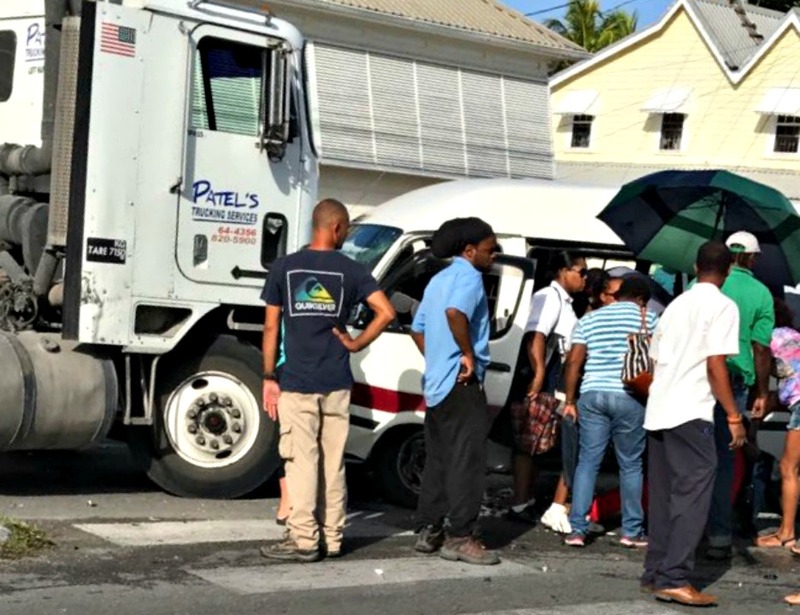 Members of the Barbados Fire Service and the Royal Barbados Police Force are on the scene of an accident, which occurred this morning along the South Coast. 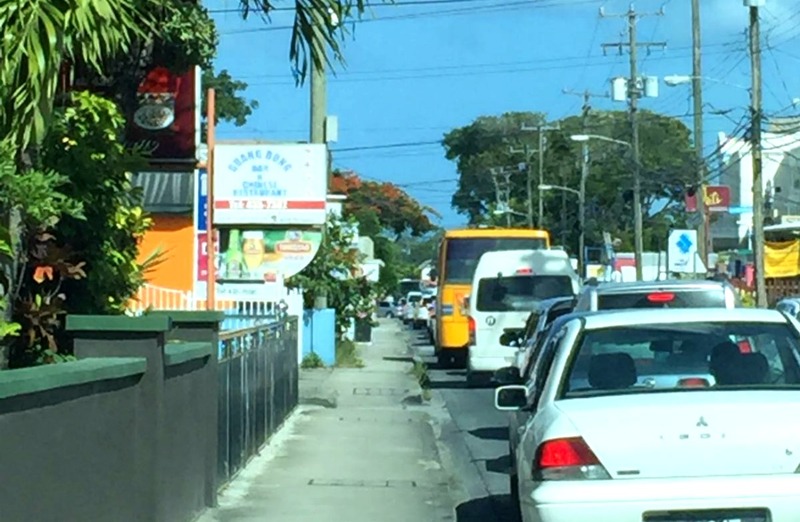 The accident occurred at the traffic lights at Rendezvous, Christ Church and traffic moving South-bound is being diverted around the Tri-Mart supermarket. 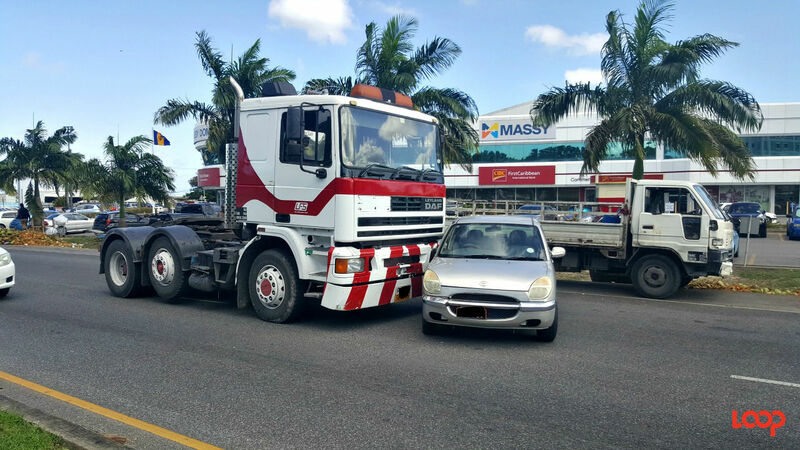 According to Constable David Alleyne of the Traffic Division involved are a ZR route taxi, a container truck and a motorvan. 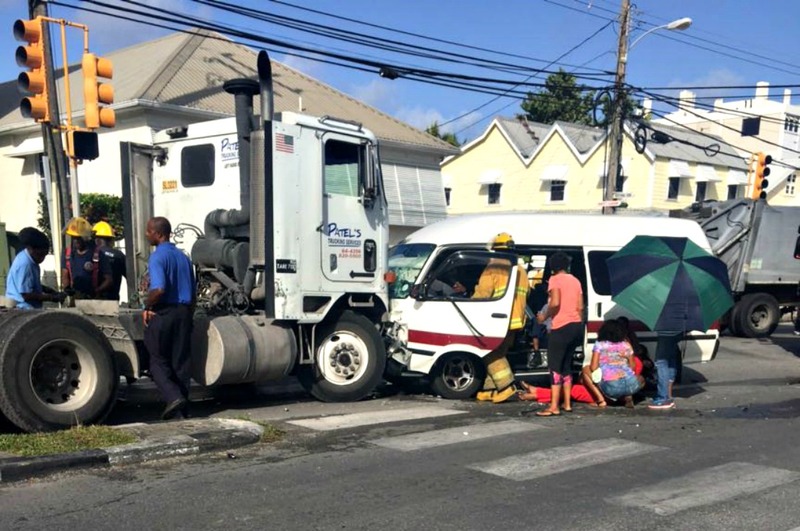 The Barbados Fire Service received the call at 7:45am this morning and eight officers under the command of Divisional Officer Errol Gaskin responded to the crash. A water tender and rescue tender were dispatched from the Bridgetown station and the Worthing station. 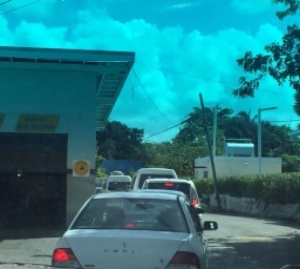 Constable Alleyne said that the jaws-of-life apparatus may have been used but he could not confirm at present. Traffic is bumper-to-bumper along the South Coast still. 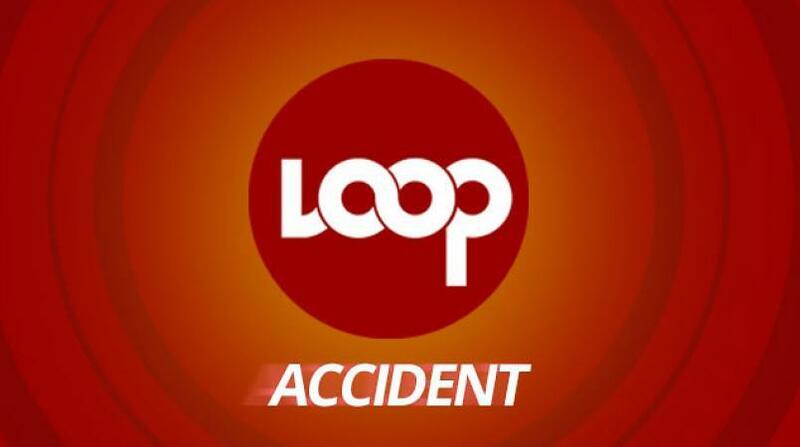 Police are conducting investigation into a three (3) vehicular accident, which occurred sometime around 7:40 am, on Tuesday the 11th of July 2017, whilst along Worthings Main Road Christ Church, in the area of the traffic lights. Involved were a Route Taxi, being driven by John Gamble - 59 years of Enterprise, Christ Church, a Container Truck, being driven by Kemar Gooding - 31 years of Charnocks, Christ Church, and a SUV motor van being driven by Jan Steinbok - 54 years of Lancaster, St. James. A total of nine persons were injured as a result of this collision, inclusive of the driver of the route taxi, and eight of his passengers. The injuries included complaints about pain to the back, chest, leg, and neck. The injured persons were treated at the scene by two doctors from the Queen Elizabeth Hospital (QEH) namely Dr Byer, and Dr Choo. Three of the injured persons were transported to the QEH by ambulance for medical attention. Three of the other injured persons were referred to the polyclinic for further medical attention, and the remaining three opted to seek private medical attention. Two fire tenders and fire officers under the command of Divisional Officer Gaskin, responded to the accident. Three ambulances also responded to the scene of the accident.